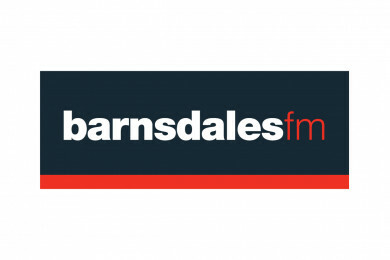 Barnsdales FM is targeting the social housing and charitable sectors as it builds on the rapid growth of its first six months. Launched as our management division in January with just one member of staff, the company will increase its workforce to nine in the coming weeks. Clive Chippindale, managing director of Barnsdales FM, said recruitment will continue as the company delivers a new contract to the Camphill Village Trust and as new national account manager Mike Stott brings his expertise in the social housing sector. Clive said: “Mike becomes the sixth member of our team. We will add an administrator at the beginning of August, followed by two more people to work on the Camphill Village Trust contract. Clive merged his own business, Leeds-based Compact Property Solutions, into Barnsdales at the beginning of 2016 and quickly started to build a client base from his existing contacts. The Grade-II listed St Paul’s House in central Leeds, which was sold earlier this year for £23.7 million, was an early appointment, with Barnsdales FM charged with looking after the combination of ornate 19th century features and modern, Grade A office space. That was followed by a deal with the Science Museum Group which saw the company engaged to support the management of the National Railway Museum in York, the National Media Museum in Bradford, the Museum of Science and Industry in Manchester and the Locomotion Museum in Shildon, County Durham. The new project with Camphill Village Trust (CVT) gives Barnsdales FM responsibility for managing the maintenance of properties at CVT’s Delrow Community, an estate near Watford which includes a 300-year-old mansion and surrounding estate. The site is home to a number of people with learning disabilities, mental health problems and other support needs living in supported living-style properties as part of a Camphill community. New recruit Mike Stott gained great experience with a major local authority before moving into the private sector as contracts manager for a company which met the gas and heating requirements for 22,000 homes across Yorkshire and Lincolnshire. More recently he was operations manager for a gas and heating services company responsible for 17,000 social housing units in Aberdeen. Clive said: “Mike brings tremendous knowledge and experience of contract management and service delivery in the housing sector, which adds a new dimension to our business. “We know from the work that we do that sometimes the job isn’t about the actual service, it’s about engaging with the clients and understanding the complexities and sensitivities of the people they are working with. At the Science Museum Group that’s the hundreds of thousands of people who visit their properties every year and with Camphill Village Trust it’s the community members.